Randall Benson - Excellent Cultures Inc.
Randall Benson – is a Lean Master and the founding principal of Benson Consulting, an Excellent Cultures Alliance Partner. Randall has spent over 20 years as a Lean business consultant helping businesses deploy highly effective Lean Process Initiatives resulting in multiple breakthroughs in efficiencies and phenomenal cost savings. For over 20 years, Randall has served his clients in applying Lean Principles (rooted in the Toyota Production System). Today he works primarily with manufacturing, service and healthcare organizations who wish to apply Lean Principles to improve the performance of their organizations. 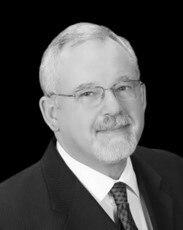 Randall was among the first Certified Fellows in Lean. He has since trained over 3000 Lean practitioners in his classes, workshops and seminars. He is a frequent speaker on Lean and breakthrough topics and the author of several articles on the subject. Randall has also served as an instructor and lecturer at the University of Washington Foster School of Business and is a frequent speaker at corporate events. Randall has worked with a wide range of manufacturing clients, from electronics to truck manufacturing, helping them transform their factories and supply chains. He is also a pioneer in applying Lean Principles in non-manufacturing industries. He has helped clients adopt Lean in hospitals, banks, insurance firms, newspapers, and IT groups, government agencies, among others. His work in service and healthcare has been noted in several business books and over 60 news articles have referred to his work. His projects have resulted in breakthroughs in the areas of throughput time, service and care quality, service levels, capacity increases, and cost savings. Randall earned his B.A. in Economics (minor in Industrial Technology) from Western Washington University and an M.B.A. in Operations Management from the University of Washington Foster School of Business. Since completing his formal education, Randall has spent over 20 years studying Lean and the principles of transformation.